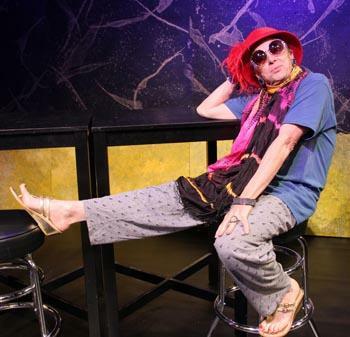 This year, Austin's Rude Mechs are celebrating twenty years of producing theater in Austin. They're doing a lot to celebrate that milestone, including a restaging of one of their favorite shows, Requiem for Tesla, an imaginative biography of late scientist Nikola Tesla. As part of the anniversary celebration, Rude Mechs are staying in Austin all year, eschewing any touring in favor of performing at home in the venerable (and soon to close) Off Center. 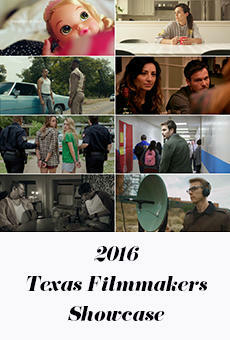 "When we were trying to think about which old chestnut of ours we wanted to do, this one came up because the nature of it is kind of impossible to tour," says director Shawn Sides . "It's so inspired by our funky old warehouse... it was made for that space and it works well in that space and it's probably never going to be able to go to any other space, so in a way it's a little love note farewell to the Off Center." Requiem for Tesla was originally staged in 2001, with a revamped second staging a couple of years later. 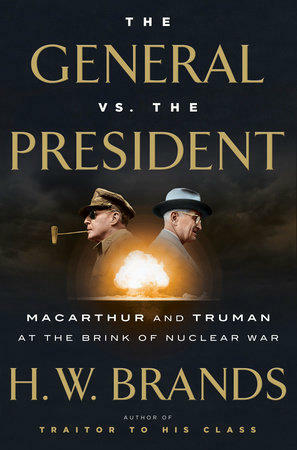 This latest version combines elements of both of those productions. "It's going to be a lot of the... 2001 set and environment and feel," says Sides. "But we like a lot of the movement and stuff we did in 2003, so we're putting it all together and just picking our favorite bits." Some of the cast and crew for this production worked on one or both of the earlier versions of Requiem for Tesla, but there are some new artists involved as well. "I'm the third Tesla" says actor Matt Frazier, adding that his performance aims to pay "homage to what has been happening before, what sort of energy it was before, but also giving my own spin to it." Robert Fisher has appeared in both earlier versions of the play and is returning for the 2016 production, playing a character that's sort of Mark Twain and sort of Thomas Edison and sort of a third, hybrid character. "I literally play a mashup of the two characters together," he says. "I'm split down the middle and my left side is Mark Twain and my right side is Thomas Edison... I kind of play it as a third character. I'm more of an idea of either one of those characters." Sides is happy to return to the world of Tesla, a character and historical figure that she finds fascinating and who seems to have gained in fame in recent years, decades after his death. "Somehow... we rediscovered him. We just sort of realized that he's this largely unknown figure... and he's just so quirky and interesting and cool." 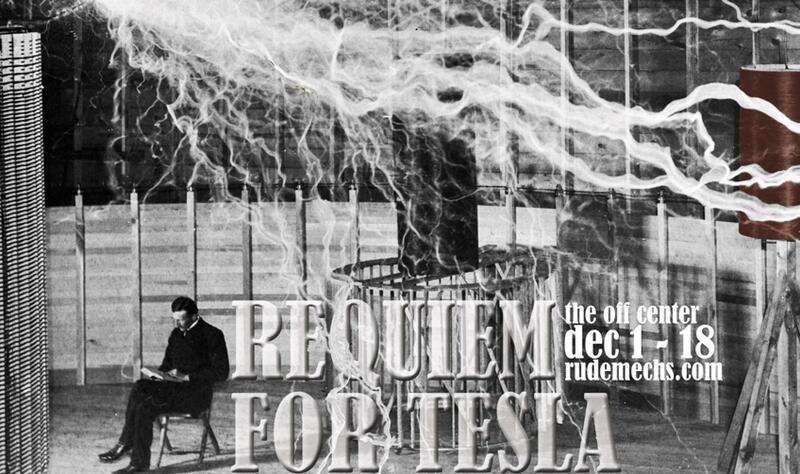 See 'Requiem for Tesla' December 1 - 18 at the Off Center.